Founded by Robert Castenada, Livingston Lures has made a mission out of combining classic, realistic lure design with cutting edge technology to create unique, diverse, and effective fishing lures. Their main claim to fame is their proprietary EBS (Electronic Bait Sound) technology. A far cry from the rattling BBs or bearings used in old-fashioned fishing lures to create clattering noise, EBS technology is designed to mimic the sounds of baitfish in distress, using modern technology, piezo transducers, and a smart chip that emits the sounds in 4-seconds bursts upon contact with the water. These high-tech, durable lures come in all different shapes, sizes, and styles, and you can choose between two basic model types – the classic EBS technology that activates one tone upon submersion, and a variable-selection Multitouch EBS offering that features four different sound modes, which can be activated by pressing various locations around the lure body. With this high-tech technology integrated into tons of lures over dozens of different applications and presentations, Livingston Lures has quickly made a name for itself as one of the go-to lure brands if you're looking for a high-tech fishing solution that maintains a vintage, classic design. If you're interested in upgrading from standard rattlers to a more high-tech solution, Livingston Lures is definitely the brand for you, so in this article, we're going to go over some of Livingston's most popular products, and give you some recommendations on the best lures to start out with. 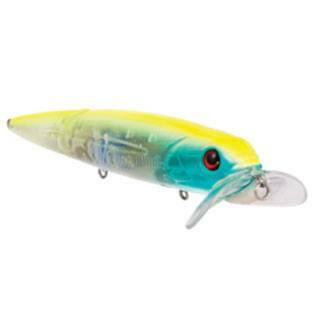 The Fresh Water Series Pro Ripper Gold Shad is a lipless crankbait designed with Livingston's proprietary EBS technology which mimics the call of an endangered shad and combines it with a brilliantly realistic design that presents a realistic profile and color. Featuring two Mustad hooks, this lure emits an electronic croaking sound that's sure to drive your quarry mad with excitement, projecting large distances through underwater sound waves. It also utilizes a slow sinking action which gives it an attractive and realistic side-wobble on its descent and allows you to drop it slowly and accurately to depths of your choice, depending on your rig. When pulled at a low speed, it maintains a lazy side-to-side wobble, while as it’s pulled faster, it begins to move more rapidly from side to side, accurately mimicking the motions of a fleeing baitfish. This, combined with its distinctive calls, attracts fish from all over, and combined with the huge variety of depths it can be fished at in the water column, makes it a great go-to choice when you’re getting the feel for a day of fishing. 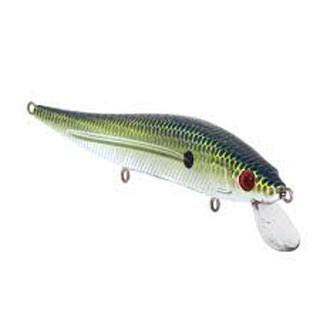 This topwater jerkbait is specifically crafted to create a smooth, realistic profile and silhouette as it rests on top of the water, and its EBS technology emits low-pitched rattles and croaks that mimic the sound of an injured or dying baitfish. In addition to its silhouette and sounds, it features a small LED light that occasionally flashes to cause a little bit more visual interest, which is especially useful during muddier water conditions and overcast days. It’s designed with a mid and rear hook, allowing a variety of strike angles to secure your prey, and given its sound and light design, it functions perfectly while being almost completely still. However, best results are found by using this as it’s meant to be used; a top-quality jerkbait. Even slight twitches by the angler provoke quick reactions, and if you’re tired of just jerking this bait around, it’s very easy to “walk”. We recommend combining walking the topwater lure with momentary pauses and jerks – doing so will help you imitate a wounded fish, and combined with the EBS technology and LED flash, is sure to bring ‘em in. This crankbait has been designed with a medium lip designed to help it reach those middle water-column areas that are often so hard to reach with other lures, and it walks a perfect balance between shallower lipless crankbait and heavier, bottom-water crankbaits. 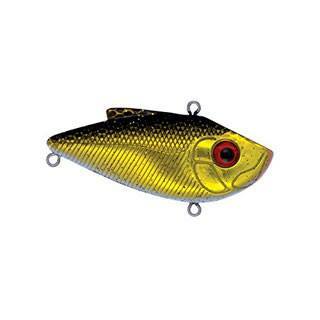 Along with its large lip, it incorporates the natural profile of a baitfish and is available in a large variety of colors, though Chartreuse is generally a favorite. It also has EBS technology which emits loud, periodic calls and creaks, as well as an internal rattle. The compact silhouette is designed for maximum wobble and motion, with a nice side-to-side action at low speed and falling that becomes more intense and pronounced with increased speed. This is a great lure to go for if you enjoy repeated casts and quick pulls, as its pronounced calls and motion will lure plenty of fish to mid-depth locations. 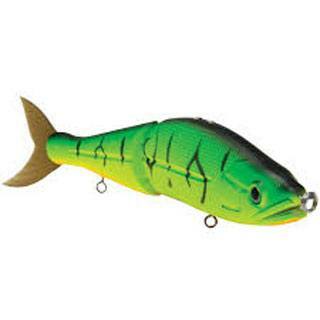 It’s also useful to fish in smaller areas where some crankbaits struggle with hang-ups – the compact design allows it to escape weedy or rocky situations where some other medium-depth crankbaits may get stuck, and the combination EBS and rattle technology is loud enough to bring out plenty of fish, even from secluded places. If you love topwater walking – seeing fish circle, circle, circle, and then strike your bait hard at the very top of the water’s surface, you’re going to love this lure by Livingston. The Walking Boss II is specifically manufactured to provide an incredible topwater walking experience, with a long, sleek profile accented by a reverse-angled front lip that helps keep it on the top of the water, and helps give it a seductive side-to-side action that, combined with EBS technology, brings in the fish from far and wide. Unlike some of our other choices, this lure integrates the EBS Multitouch technology, meaning that you can vary its calls depending on the situation by switching to one of four built-in tones and calls, making it a very versatile choice. The aforementioned double-cupped lip combines with the “broken-back” silhouette design to cause tons of splashing when walked along the surface, and makes it easy to dip, dart, and dodge around with this lure while you’re walking it along the surface.
. It’s hard to overstate how much of a pleasure this lure is to use while topwater walking – it’s quick to respond, easy to control, and it presents so accurately that it might even fool an experienced angler if they were to just glance at the water. If you’re a walker/topwater jerkbait fanatic, you’re not going to want to miss out on this lure. Its high-tech design plus classic function and presentation make it an absolute delight to use. 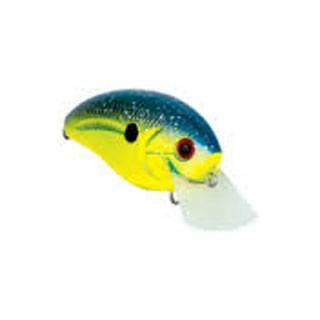 If you’re more into mid-water jerkbaits, the Livingston Jerkmaster 121 is sure to do the job. Built with an internal weight chamber that suspends it perfectly in the medium-shallow depths of the water column, it integrates EBS technology into a slim silhouette that’s carefully designed both for realism and for attractiveness, mimicking the long profiles of baitfish favorites like shads and minnows. This heavy weight also makes it easy to cast long distances without extra rigging, and it’s balanced so that even slight rod movements will cause big rolling actions which are very attractive to prey fish. Along with its EBS technology, it incorporates manual rattlers, so there is a huge variety of sound with which to attract faraway fish. This lure is especially useful in muddier or darker waters – the loud sounds and bright patterns combine to make it very visible and obvious even in tougher conditions, and it works just as well in good weather, making it a great all-conditions suspender lure for your tacklebox. It's not cheap, but the B Venom 6 Tiger has the feature-set to back up its high price. It features a two-section design that mimics natural swimming motion perfectly, multitouch EBS technology that features multiple sounding options, a variable weight-chamber that allows it to be used as a topwater, sub-surface, or suspending lure, and allows you to vary the sinking action from slow to fast, according to your needs. Its massive customization options mean it can be useful in almost any situation, and combined with its incredibly reactive presentation, it won't take long for you to get used to the swimming action of this swimbait. With smooth reeling, it provides an underwater glide that's attractive and realistic, and with just a twitch of your rod, you can pull off 180-degree turns and jerks that are sure to attract the attention of larger fish. While not everyone is into swimbaits, if you’re a swimbait fan or just getting started using swimbaits. This is absolutely one of the best, most versatile swimbait lures out there. It’s not cheap, but it’s worth every penny. Livingston Lures is constantly innovating – developing new smart chips that react better to immersion in water, crafting better bodies to hold their advanced technology, and always relying on the experience of veteran anglers and fishermen to develop a better product. Their unique fusion of style, technology, and quality certainly make them an industry leader, and regardless of whether or not you purchase one of these lures, you should be keeping an eye on them. We wouldn’t be surprised if it was Livingston who discovers the next big innovation in lure technology.